A lion with two arrows sticking out of its neck marches proudly onwards; a sphinx sprouts a dragon's head from its rear; a pot of fragrant stew is taken towards the King by a servant girl; a chariot rolls over an Anatolian plain. All these things were depicted, along with swirls and geometric motifs, on the belts of the Ancient Urartians. The Urartians flourished during the 9th to 7th centuries B.C., most specifically when the various chieftains were united under Sarduri I (840–825 B.C.) From the capital at Van (Tushpa), control stretched over an Empire stretching from the Euphrates to the Kars plateau and the Taurus Mountains, and everyone from wealthy bureaucrats to the common man piled their wealth around their wrists and necks and waists. 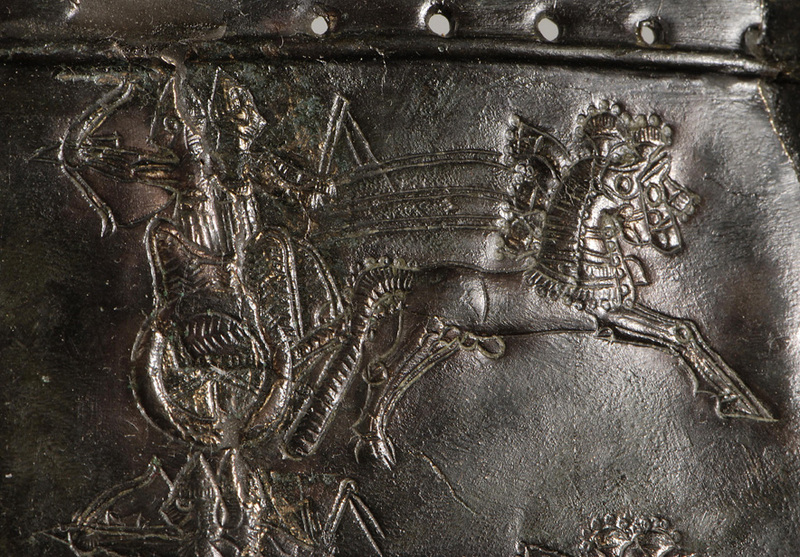 Urartu war-machine: fully armed charioteers depicted on a bronze belt, 9th–7th century B.C. The Urartian’s lack of writing was their Achilles’ heel. If we could look at the figured bronze of these belts and name the Gods; if we could look at the bulls or rams on the top of the exquisite pins and imagine a sacrifice; if we knew about the snakes which wound themselves sinuously around the arms of those bracelets; if we knew about the Urartus as we do the Assyrians, this remarkable exhibition would be packed to its rafters. And such rafters! The exhibition is underground in the museum, and the brick arches are left over from the original fabric of the building, an 11th-century Byzantine Cistern which subsequently became an Ottoman hamam. In the middle of this the display cases gleam gently, enticing the observer to breathe heavily on the glass and peer at the coils of earrings and rings, the gleam of beads and the tiny animals balanced on pinheads. Left: Patterns on a belt from the 7th century B.C. Right: Mineral deposits in the mountains near Horasan. It was the Urartu discovery and exploitation of the mineral deposits in the mountains around Van that gave it the ability to develop such sophisticated artistry. In the hills thereabouts are deposits of gold, silver, lead, iron and copper (walking through the mountains near Horasan this spring I came across the remains of some of these ores, often still mined on a small scale.) The sophistication of pins and fibulae are a case in point. Some simply have a prancing bull on a miniature scale poised on the head, others are headed with a trio of three animals gazing out upon the world, and strikingly large numbers have poppy seed capsules. Whether these are representations of the opium poppy (Papaver) or the poppy that I saw looking so beautiful all across that area of Eastern Turkey, the subtle variations squeezed out of their representation show all the artistry of the civilisation. 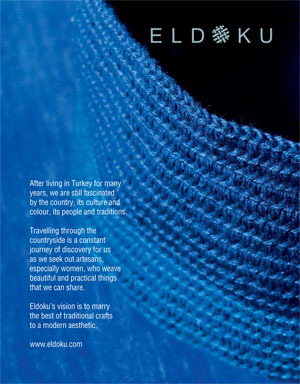 Also important to Urartian jewellers were chalcedony and many other semi-precious stones used for bead necklaces, and these are shown in this exhibition in all their richness and variety. 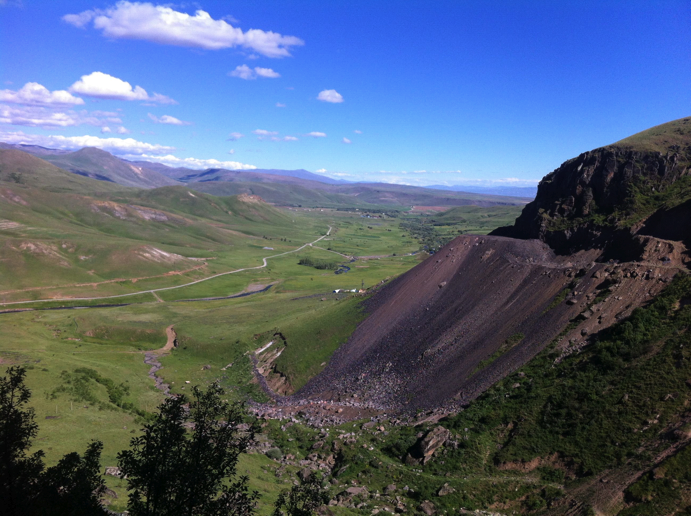 Among them is Obsidian, which is mined still above the Kirgiz village of Ulupamir. A short scramble up above the mine are caves in the cliff which contain Urartian pottery, and have yet to be excavated; the obscurity of these sites is a measure of how much remains still to be discovered of the Urartian civilisation. In this exhibition, however, it is surely enough to focus on that soft bronze intricacy, in which flowers and trees and prancing bulls give us a picture of another world.